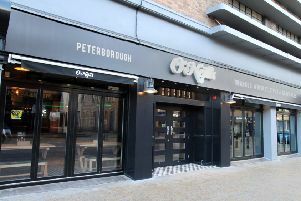 The new menu at Peterborough city centre’s Turtle Bay restaurant will unite the food tribes – from strict vegans to the most carnivorous of meat lovers, from the adventurous food explorer to those who would like something small to enjoy with a cocktail. The rule book has been thrown out of the window, and menu hacking is the order of the day at the venue in St John’s Square. There’s an abundance of small plates, sides and cutters made for endless possibilities - say hello to easy, breezy Caribbean eating and drinking. All of this is inspired by island life – it’s about grazing, socialising or grabbing a working lunch, a chance to escape from the grind and embrace Turtle Bay’s beach shack experience. The new Lunch n Later collection embodies this spirit perfectly – made for laid back lunches, quick bites or an after dark compliment to cocktails. These Caribbean twists on classic lunch dishes include West Indian Wraps, Kingston Toastie and the gorgeous new Jerk Chicken Flat Bread. It also includes a brand new Burger section. Six, all-new burgers come served in a toasted bun and start at £6.20. Hallo Halloumi brings together a dreamy combo of grilled halloumi and succulent Portobello Mushroom - likely to be popular with veggies and meat eaters alike. The new side plates are a real star of the show, with vibrant flavours and unique dishes – these are little plates of heavenly food that make for fun, individual meals. They come as two for £5.40, three for £8, four for £10 or five for £12 and they’re so vibrant and diverse that they make for a great dining experience all of their own. The likes of Grilled Jerk Halloumi, Curried Chick Peas, Chilli Pineapple Salad and the amazing new Coconut Callaloo make up a fabulous sharing selection. Callaloo is a Caribbean green leaf similar to spinach and in this dish is creamed with coconut milk – gorgeous and vegan to boot. There’s also Sunshine Quinoa, Caribbean Hummus and more, plus, of course... cheesy jerk fries! The gorgeous One Pots menu now has four new slow cooked, simmering Caribbean curry dishes to choose from – two of which are vegan! Curry Prawn is the mother of all seafood curries with whole shell-on king prawns slowly simmered with mango, sweet potatoes, tomato, garlic, ginger and Caribbean spices. Curry Salmon is a lighter, coconut curry with a kick and like the Curry Prawn is served with steamed rice and roti flatbread. The Chickpea and Callaloo Curry is a vibrant vegan sensation – curried chickpeas and coconut callaloo make a really exciting new option for meat and dairy free diners. Meanwhile the Aubergine Curry is another light and fragrant vegan option. Their new Beach Shooters are a collection that allow guests to sample the signature beach shack rum cocktail vibes as a taster – perfect for those wanting that little cocktail addition to their experience without going the whole nine yards. Plus there’s a new way to drink rum as Turtle Bay introduce Rum n Tonic. This new range features six specially selected, high quality rums perfectly paired with a collection of premium tonics by Double Dutch. There’s a whole new Alcohol Free section too – and great news for drivers, abstainers and pregnant women alike, these are 241 during Happy Hour as well.